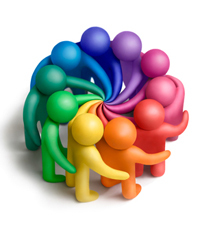 Blog about people-centered design by Lisa Chow and Sandra Sajonas. 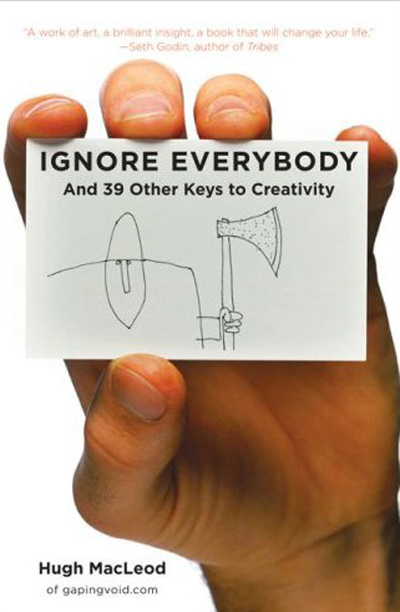 Ignore Everybody and 39 Other Keys to Creativity by Hugh MacLeod is inspirational for anybody in a creativity rut or feeling zapped of ideas. Filled with illustrations and sound bites of sage advice, MacLeod keeps it short and sweet. We know that Christmas has already come and gone….but we noticed that something is missing from our stockings. Please try to remember for next year that we really, really want this. We promise to be good. p.s. we will also make sure to leave you a heaping plate of cookies and milk. Unless it’s raining or super windy, we go outside for lunch. Yes, even in the winter. With the park and the garden nearby, why not take advantage of it? Usually we just walk around, but this time, we made a snowman. No, this isn’t just a post to tell you about our lunch breaks or show off our snowman, although we have to say he looks pretty good. Lately, we’ve been feeling a bit zapped of creativity and ideas. Maybe it’s because of the cold winter weather or the fact that we had a super busy year with presentations, conferences and programs. But there was something about making that snowman. We were a bit tired afterwards, but we also felt re-energized. Within hours, we were throwing around some great ideas. So if you’re feeling zapped, make a snowman. Be the first to know via email when a new blog post is published. It’s a New Year. What’s Your Career Strategy?